Turkey is rocked by ongoing mass protests, never seen in the last decade – the dramatic and largely unexpected development, which comes as the major challenge to the government of country’s strongman, Prime Minister Recep Tayyip Erdogan. During his 10-year rule tolerating no dissent and silencing top military brass through massive army purges Prime Minister Erdogan could have hardly image thousands strong crowds one day would raise against his policies in a popular movement, which united left and right, liberals and nationalists. The question what has triggered the protests is debated by political pundits. 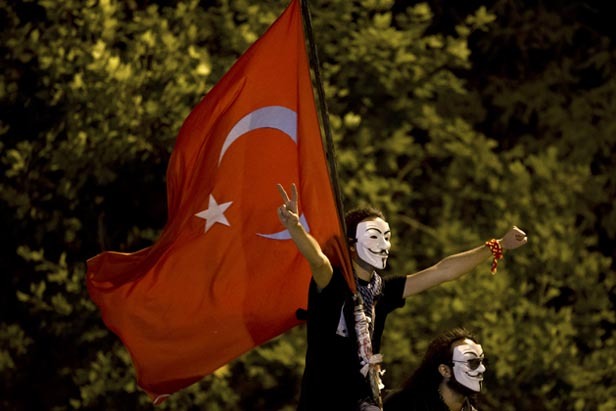 Some say that the “Arab spring” – the wave of revolts that swept the Middle East has finally reached Turkish shores. Others argue that Egyptian Tahrir and Turkish Taksim squares – the centerpieces and symbols of the protests in Turkey and Egypt are a mistaken identity. EU-Russia summit, held this week in the Urals city of Yekaterinburg has added to the media debate on what are Moscow’s relations with 27-member union of European nations. There is every reason to believe that EU, which is embracing both the “old Europe” as the citadel of the Western values and the “new Europe” of the former communist satellites is still unable to speak in one voice on Russia. So does the leading European media. While one section of it is advocating pragmatic approach in the relations with Moscow which would pave the wave for scrapping “visa curtain” and signing the new long-term EU-Russia framework agreement, other is calling for European leaders to be tough with Russia and lecture it in democracy. However, the proposals to use visa issue as a tool to punish Moscow look irrelevant and counterproductive. 3) Bradley Manning: a traitor or a hero? The court martial of Bradley Manning, the 25-year old US soldier, accused of passing classified files to WikiLeaks has opened in Fort Meade, Maryland, amid human rights activists protests, sparking the nation-wide debate on the “phenomenon of Manning” and his mission. The story of the young man, who was behind the largest leak of classified information in US history has spilt America into those, who considered Manning a traitor, collaborating with the enemy and putting US national security at risk and those who describe him as a brave serviceman and citizen, who was not scared to exposed the US government secrets in the interests of Americans themselves. Therefore, the question who is Bradley Manning - a hero or a traitor is sill up in the air.